Birthday There are 8 products. 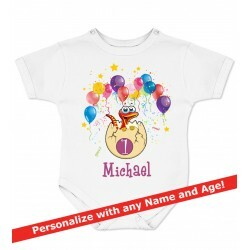 You can personalize this onesie with any Name and Age by your choice.Please add it in Note to seller at checkout. This wonderful baby bodysuit is made of high quality cotton interlock. 100% cotton. Fine and soft touch. Shoulder snap button for easy dressing. Printed with eco aqua based inks. Great colors. High quality of printing. Quick shipping. 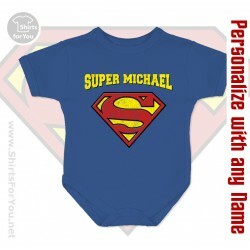 You can personalize this onesie with any Name by your choice.Please add it in Note to seller at checkout. 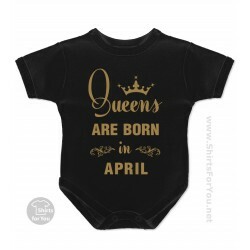 This wonderful baby bodysuit is made of high quality cotton interlock. 100% cotton. Fine and soft touch. Shoulder snap button for easy dressing. Printed with eco aqua based inks. Great colors.